Material: abs plastic.To protect your safety, we are duty-bound. Discover the delights of knitting! 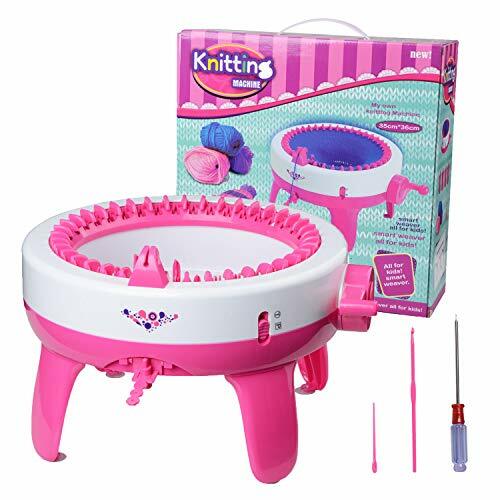 Knit your own scarf, hats, and even a sweater with this knitting machine. Just thread the yarn into the spindles and turn the crank to knit your very own scarves, hats, or sweater. Ages 8 and up. Our services: When you encounter any problems during the purchase process, and when you purchase, there are doubts in the operation. Please feel free to contact us. Our customer service will be happy to solve your problem. If you have any questions about this product by Youkexin, contact us by completing and submitting the form below. If you are looking for a specif part number, please include it with your message.